Pioneer Academy and its scholars have had the opportunity to participate in numerous events and activities that have brought our scholars awards, praise, and acknowledgment for their efforts. Here you can find links to some of our scholars' accomplishments and achievements. The Pioneer Academy Chess Team, coached by Christian Whitted of New York Chess & Games in just two years has become a formidable contender in both local and national tournaments. 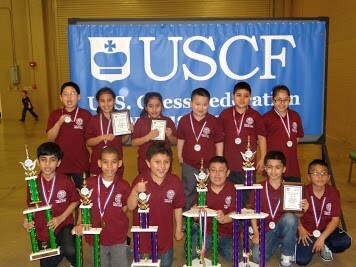 Our scholars have placed on three separate occasions in the National Elementary Chess Tournament. 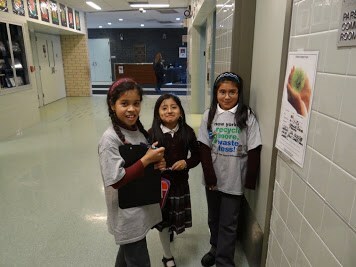 They have also repeatedly contended in tournaments organized by Chess In The Schools throughout New York City. Conceived and implemented by science teacher Ms. Andujar, the Green Team strives to help Pioneer Academy leave the smallest possible carbon footprint. Students monitor and track classroom waste, use of electricity, and recycling efficiency all in the spirit of preserving our communities environment. Their efforts have helped them to win the 2012 Green Championship.